Are you a corporate reinventing it’s business models or a lean start-up? 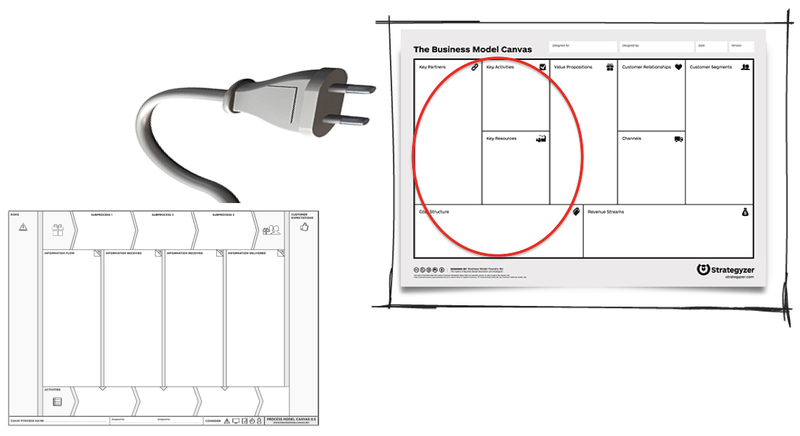 But, now you will arrive into the situation where you need to translate your ambitious new Business Model Canvas into your organization structure. The operating model needs to be adopted, but HOW do you do that? How do you make this challenging next step? The PROCESS MODEL CANVAS will help you with this, as a plug-in model at the Business Model Canvas from Alexander Osterwalder. What are the new Key Activities (KA) Key Resources (KR) and Key Partners (KP) what is different from the current situation? How can you design it in such a way, that your New Business Model will soon become reality? How to improve the collaboration between the professionals, departments and business divisions in a way that your new business model will be realized? Do you want to prevent that good ambitions will end-up with ‘nothing..’? Did you create different ‘task-force’ teams, but it is difficult to make the movement really happen? How do you prevent your new Business Model will end-up in ‘a dark archive’? Use this new PROCESS MODEL CANVAS with your teams.